First of all, well done for asking this question, instead of just applying the Reviver to your soft top before removing any previously applied proofing agents! Despite the instructions on the Reviver bottle, you would be amazed by how many people just go ahead and put the Reviver onto a protected top and are then not happy with the colour result that they have achieved! Mist spray the top and then paint on the Fabric Soft Top Cleaner leave the solution to dry for approximately one hour, this is the optimum time for the active ingredients to work. Using hand hot water the surface should then be scrubbed with a bristle brush being careful around stitched areas and windows. It is essential to use hand hot water! Finish by rinsing off with water. Repeat the whole process as necessary. Simulate raindrops on your soft top using the sprinkler attachment on your watering can. 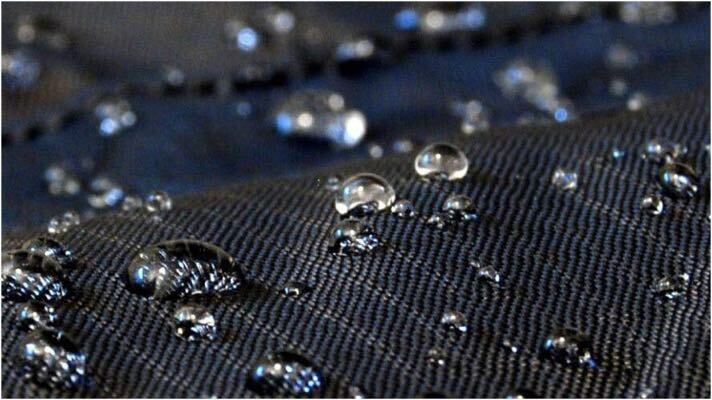 If this fake rain shower begins to bead, then you need to repeat the cleaning process. However, if the water is able to absorb evenly into the material, then you can go head and apply the Soft Top Reviver. 1.) 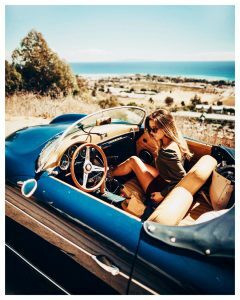 Ensure that the soft top is thoroughly cleaned. 2.) 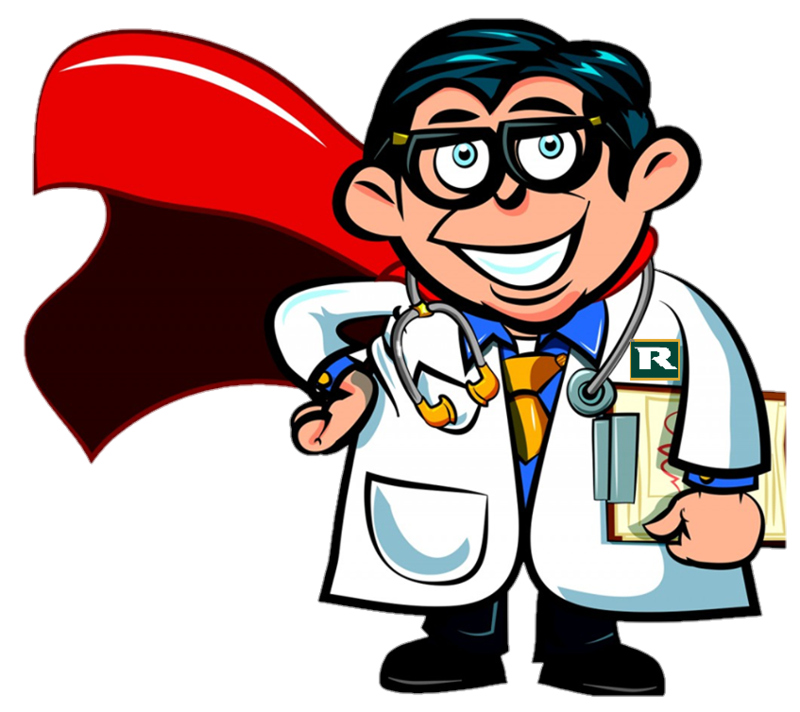 Ensure that you have sufficient Reviver to complete a full coat. 3.) Be diligent in removing previous waterproof coatings prior to application of Reviver. 4.) Keep a soft damp cloth ready to wipe off any splashes or dribbles on paintwork and glass. 5.) Work in a timely fashion to ensure that the edges of the freshly applied Reviver do not dry out too quickly. 6.) Work from the centre outwards round and round the vehicle. 7.) Apply to a dry top and allow Reviver to dry completely before applying further product or taking out in the rain. 1.) Forget to shake the bottle prior to use. 2.) Dilute or mix the Reviver with any other product. 3.) Apply the Reviver in direct sunlight or on a hot day that will cause the Reviver to dry too quickly. 4.) Allow to dry on glass and paintwork. 5.) 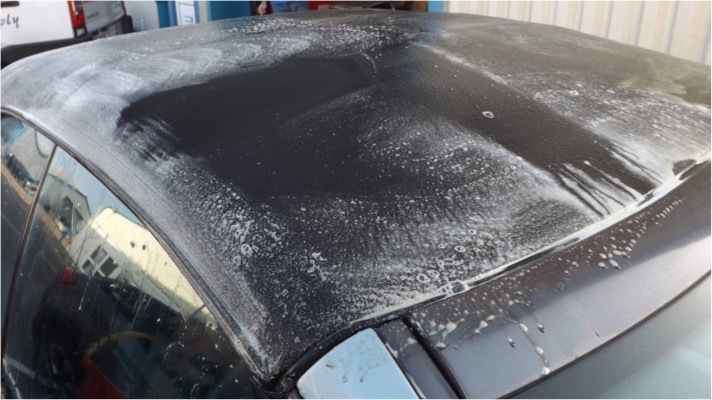 Apply to a soft top that has been coated with a waterproofing agent without removing the proofer first. 6.) 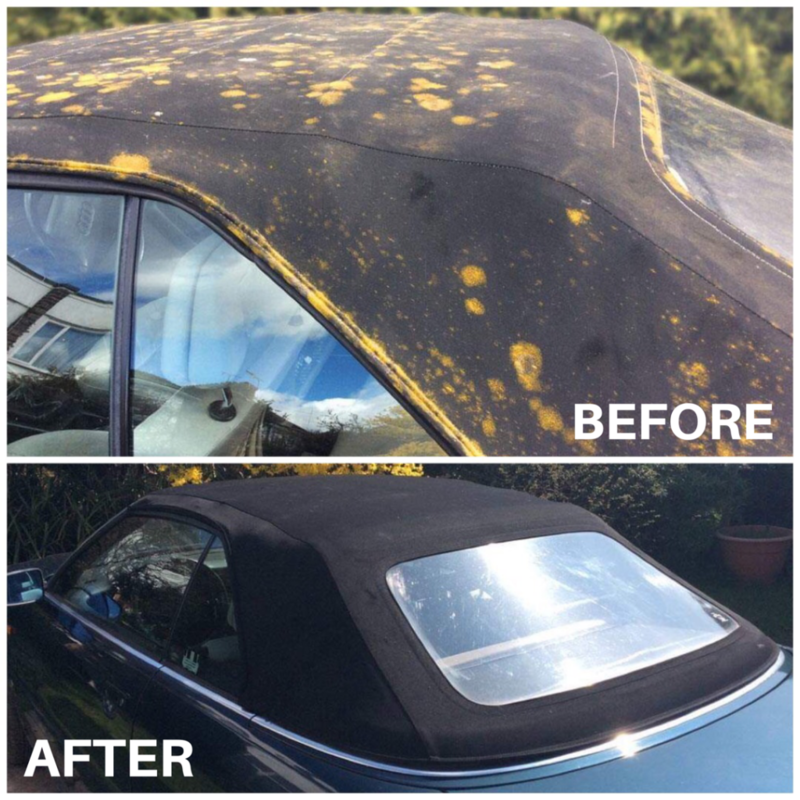 Apply to vinyl soft tops or cars with modified paintwork. I hope you have found this information helpful, please feel free to contact us if you have any further questions!